Frankincense provides one of the most evocative scents in the long history of aromatics. Its fresh, fruity, pine-lemon bouquet with delicately sweet, resinous and woody undertones, slows and deepens breathing and has been used since ancient times to awaken higher consciousness, and enhance spirituality, meditation and prayer. The name "Frankincense" is widely known as an historic biblical ingredient, and to many as one of three gifts from the visiting Magi to the newborn Jesus and as an ingredient in the Old Testament's Exodus incense mixture. Few have experienced its aroma though or know of its rich history and how the world has treasured and used it since long before recorded time. Frankincense has been one of the world's most treasured commodities since the beginning of written history. At its peak its value rivaled that of gold, the rarest silks, and the most precious of gems. Ironically, it is but a milky-white resin produced by a scrubby, unlikely looking tree, genus Boswellia. 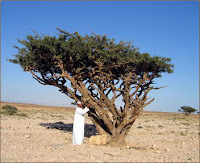 There are twenty-five known species of Boswellia, each creating a water-soluble gum-resin with its own distinctive fragrance and medicinal properties. Frankincense in summary, is one of nature's most cherished gifts. Whether you desire the pleasure of its pure resin for incense or its precious essential oil for aromatherapy or perfume, you can find a diverse line of high quality frankincense oils here at our online store. www.theperfumeshoppe.com. Did you know that EVERY Amouage Perfume contains Frankincense? At the beach with Sandflowers by Montale~ "Oceanic. Smells as "open" as a fragrance can get. Starts out breezy, airy, and spacious. 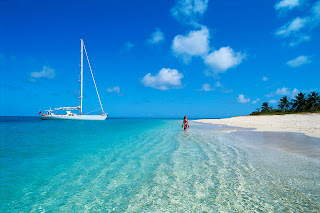 A nice marine note (in the opinion of a person who is picky about marine notes.) Smart pairing of juniper berries and oakmoss create a dry, woody accord that is the best part of this fragrance. 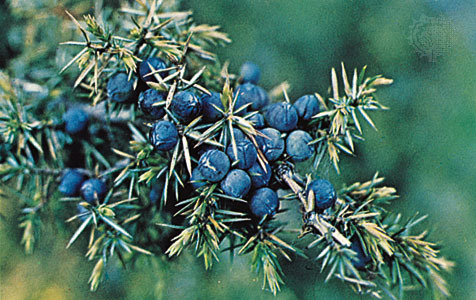 As the sandalwood warms, it provides a pleasant sweetness which never overwhelms the salty underpinnings.Juniper berries are rarely found in a women's fragrance, neither are marine fragrances without florals or fruits. That, in particular, is a good reason to try this." Note of the day: Juniper Berry ~ Baies de Genièvre: French for juniper berry. Juniper berries pink peppercorns arefrom the tree schinus molle, also known as the Peruvian or California pepper tree. These are actually dried berries and not “true” peppercorns, and you will sometimes see them listed as “pink berries”. In the civilizations of antiquity, from Egypt to Greece, fragrance did not exist as such. Flowers, scented plants, gums and resins were raw materials to be used during the ceremonies dedicated to the gods. As the years went by, the interest in fragrant substances intensified and the ways in which they were used multiplied : fumigations, oils, balms, fermented liquors ... Both rich and poor used them in an attempt to get closer to the gods, in the belief that fragrance glorified their beauty and their power. It was believed that fragrance made the body more perfect and healed its ailments. Inspired by a musical sojourn of emotions, Tribute opens with a graceful accord of frankincense and the subtle majesty of saffron which herald the transition to the elaborate and powerful floral heart notes, chief among which are Jasmine and the rarest and the most precious of the Rose called the Rose Taifi and a whole field is used in the bottle of Tribute. Perfume was at the center of aesthetics and therapeutics for both men and women in Ancient Egypt. Although the techniques used are mostly unrecorded, historians look to the literature of Greek and Roman writers and relief paintings and artifacts to determine the production, fashions and uses of perfume in this fascinating era. The act of making perfume was considered an art form in Ancient Egypt. The crafts person was considered to be an artist and the profession was open to women as well as men. The perfume making process of extraction can be determined by reliefs on the walls of tombs in Petosiris. These show that perfume making had an overseer, workers who completed the extraction and a professional tester who completed rigorous testing using the sense of smell. However, the Egyptians had typically exotic tastes, and in addition to home grown essences, they also imported aromatics such as ladanum from Arabia and East Africa, galbanum from Persia, and the coveted frankincense due to unsuccessful attempts to grow it in Egyptian climes. 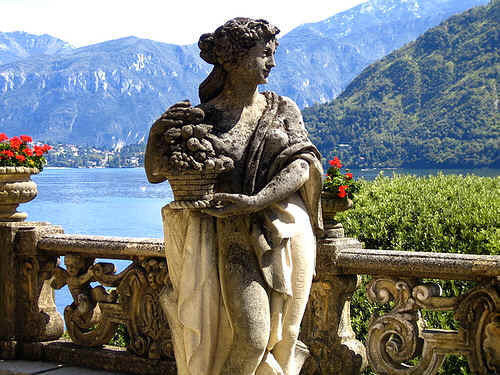 The fact that ingredients were imported even in ancient times shows the importance of perfume. The imported varieties were expensive and initially reserved for the use of the gods or export only. Egyptian perfumes were usually named after the town of production or the main ingredient. Storage was in glass or stone vessels, with alabaster being the most coveted. The decoration was ornate and often bejeweled, with packaging reflecting modern day requirements of functionality and attractiveness. Perfume was burnt as incense, as named in documents from the reign of Thutmose III which detail different varieties such as green incense and white incense. Perfume was worn for aesthetic reasons, in the form of oil based liquid infusions, or wax and fat for creams and salves. This suggests there was also a medicinal purpose recognized. Perfume was mainly for the elite classes until the golden age. It was used by kings who were believed to be of divine descent as it was believed that the gods favored perfume. High officials were anointed with perfume when they were appointed to office to call the favor of the gods. Incense was used to hide the smell of animal sacrifice during ceremonies. Balms were seen as medicinal as perfume was thought to repel demons and win the favor of the gods. Perfume was also an important part of death and burial rites. Bodies were perfumed during mummification as it was believed the soul would visit the gods and so perfume would repel demons. Interestingly, 3300 years after Tutankhamen death, scent could still be detected in his tomb. Winter is coming and what better way to celebrate the season than with a whiff of scented joy for the twelve days of Christmas. Here’s several fragrant selections to help you choose tantalizing scents for everyone on your list, while saving a few for yourself. Dashing Through the Snow - The month of December can be hectic with shopping, baking, decorating, and parties. As you rush around doing your errands, stop and take a breather. Why not head outdoors for an hour or two to get some fresh air? Many people don't think of taking a walk during winter time, but it can be a great time to clear the senses, especially the olfactory ones and get ready for the chaos of the season. Cuddle up with a soft white velvet cloak with hood and dab on a bit of Teint de Neige by Villoresi Firenze: "The color of snow". This scent is musky with a soft undertone of heliotrope, very soft and feminine. Enjoy the festive outdoors with Zagorsk, Comme des Garcons. This fragrance opens with a sharp burst of citrus. If you can't be in a Florida lemon grove, then experience it through a fragrance that smells like a chilly walk through the snow in the park, wearing comfy winter boots. As you stroll around various scents open up; pine needles, crushed leaves underfoot, and tree bark. Relax on the park bench with a spicy mushroom afterglow. Shopping all through the Night – Wear a fresh scent to revitalize you after work with Visa de Robert Piguet. Visa fits the bill for an evening of Christmas shopping with its sweet fruity notes, orange flowers, and vanilla bean soft notes with a bright aqua base. Now you can shop all through the night! After a hectic evening at the shopping mall you'll want to curl up in your robe and dab on some Fougere Bengale with it's calming lavendar and tobacco notes. Sit back and relax knowing that your shopping is all done after a visit to The Perfume Shoppe. Baking Treats to Go – Delicious perfumes reminscent of holiday baking are what to wear on Christmas Eve as you bake holiday treats. Rousse by Serge Lutens opens with an enticing cinnamon note with middle notes of a pear upside down cake baking in the kitchen, intermingled with Grandpa's fine after-dinner cigar. If you're heading off to the tropics for a holiday vacation, bring a bottle of Vanille Coco by Compton Sud Pacifique with you. This fragrance has easily recognizable notes of vanilla and coconut. This is a must for a holiday vacation in Hawaii! If you can't go, buy Vanille Coco as a vacation substitute. If you're looking for a perfume that smells like a dessert buffet take a whiff of Vanille Abricot by Compton Sud Pacifique. This perfume smells of a delicious dessert. Perhaps a fruit cake or plum pudding, maybe a fruit tart, drizzled in orange and apricot liquers. Try not to drink the bottle! Vanille Absolue by Montale: This gently scented perfume starts with a soft cotton candy top note, with middle notes of sweet sugar cookies, topped with soft fruit filling perhaps apple or apricot jam. Grandma's baking is definitely on the menu. Making Spirits Bright – Make your loved ones sparkle with delight as they unwrap beautifully packaged bottles filled with delicious scents. Have them try Crime Exotique by Parfumerie Generale: A distinctive cinnamon top note with middle and base notes of green, earthy soil. 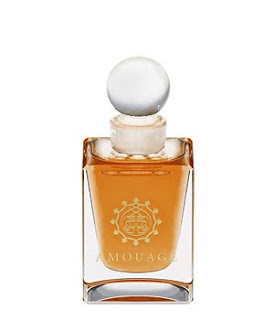 Amouage Interlude Woman is perfect for that special lady on your list. Top notes of myrrh for a traditional Christmas offering, with a sweet centre, and a mix of frankincense and a sharp ending of black olive. Now that you've shown how much you care with a scent chosen for each person on your list, you can relax and enjoy the holidays! Do you remember the fun times you had with Dad back when you were a small child? I remember mine would bring me to the train yard to meet the train conductors and visit the communications room where the train departures were managed. I learned about fiber optics which would become a key component of internet communications two decades later, enabling people to order perfume through the Internet from The Perfume Shoppe. Nowadays we don't give enough time to our Dad, especially when we're caught up in school or work, living away from home raising our own families. TIme gets away from us and soon we realize that we may have been too busy to call Dad. Winter holidays, birthdays, Valentine's Day have all passed and you may be despair of buying yet another gift for your Dad for Father's Day. Sending socks, chocolate, and golfing accessories in the mail all seem like stale ideas. What better time to surprise him in person than with a visit and a token of your affection to show that you frequently think of him! Here's a new twist on an old gift. Obtain a Perfume Shoppe Gift Certificate for your Dad, enclosed within a treasure chest with a promise for a fragrance exploration. Make a date with Dad to visit The Perfume Shoppe and help him select some fine gifts for his treasure chest! Maybe Dad can't get away to the mountains like in his earlier years but you can give him fragrant memories of day's long past. When he was younger he told you stories about his youth, perhaps a helicopter flight up north, canoeing on the river, or a ride in a hand car on the tracks. 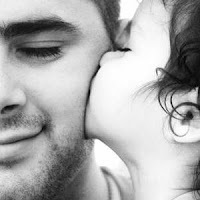 Embark on a fragrance exploration at The Perfume Shoppe and help your Dad relive these memories. 1. Cedre Eau De Parfum Spray for the Park ranger Dad who spends free time with his family exploring the parks and camping. Christopher Sheldrake designed this warm woody oriental cedar fragrance also suitable for women. 2. Airborne Eau De Toilette Spray for the Dad who enjoys piloting planes. The perfume rebel Rei Kawakubo from Comme des Garçons & Hussein Chalayan designed this fragrance to exude a variety of man made and natural substances that can be sniffed on the wind. 3. 1805 After Shave Balm for the ocean captain Dad. Blended by Truefitt & Hills during the reign of King George III. Your Dad can give a nod to the king while he's on his high-seas adventure.